A man spotted piles of doner meat left in the back of car, and captured the eye-watering moment on camera. A cheeky doner kebab after a night out fills us with guilt and regret most of the time, but this picture takes the notion of a sweaty kebab to a whole new level. A photo, taken by Daniel Armstrong, has captured the moment he saw un-cooked rolls of the popular takeaway dish piled up in the back of a car. 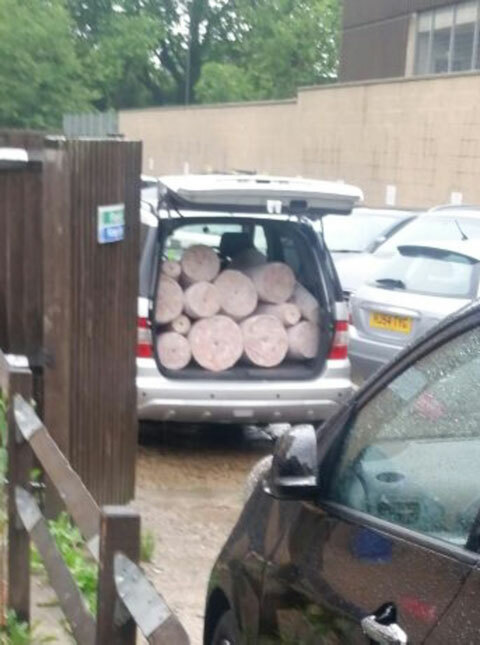 According to The Metro, Troy BBQ manager, Musa Eryilmaz, admitted transporting the meat in the 4x4, but said the meat was only in the boot for "minutes". He told the outlet: "Nothing much happened. A freezer was broken and it was only one hundred yards from my other shop to this shop. "It was from number 43 to number 98 on the same street".